How to make lipstick from scratch? If you want to learn how to make lipstick at home with natural ingredients then you are on the right page. 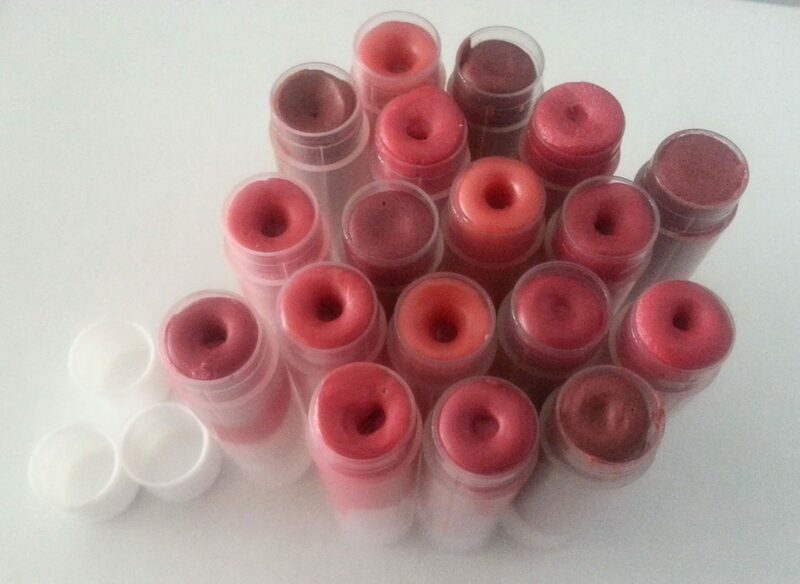 In this post, you will learn how to make lipstick at home easy. This DIY lipstick recipe is my favorite, and I will explain to you why! I’ve tried several lipstick recipes, but none of them were similar to a real lipstick. They were all like a lip balm and the color did not show up on my lips. Finally, I found a DIY lipstick recipe that I really liked! So, I am rushing to share this awesome DIY lipstick recipe here on my page. 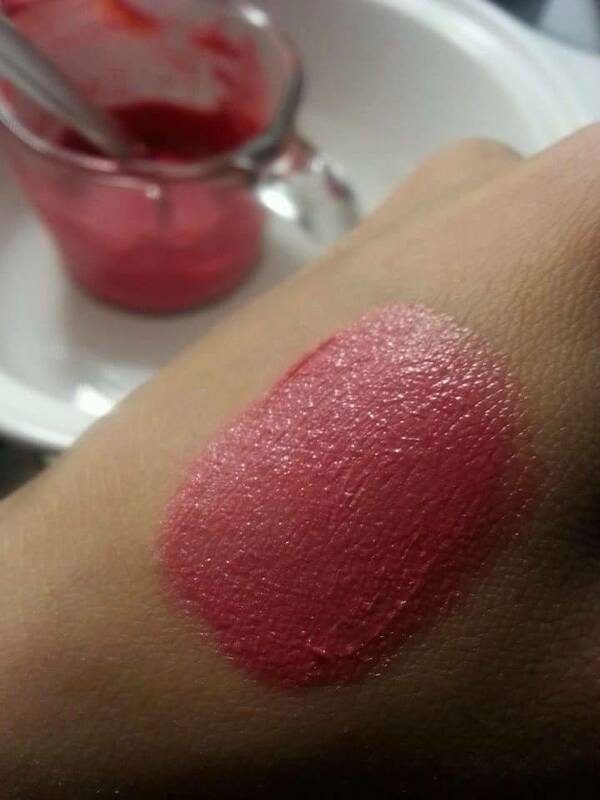 This DIY natural lipstick is smooth, stays on lips for longer than some regular lipsticks, not heavy, it is kind of waterproof, and it moisturizes your lips well. I also noticed it gives a slight plumping effect to the lips. I can say it is a lip balm and a lipstick combo, and so much better than regular lipsticks that are on the market. Recipe courtesy of Penta Vedra Soap Shoppe. I slightly modified the recipe adjusting it to my own needs. Natural ingredients! I am not scared to ingest them while having my meals. Color shows up on my lips! Stays longer than some regular chemical-filled lipsticks. Protects against over-drying and cracks. Great protection from cold weather. Feels much better than some other commercial lipsticks. Cost-effective if you already have the ingredients. If not, it is still cost-effective as you can make lots of other beauty and care products using the same ingredients. If you use stinky lanolin, your lipstick will stink too:-) I use Lansinoh lanolin, which has no smell at all. I also have pure lanolin from Now foods, and it smells like a lamb (which I wouldn’t use for this DIY lipstick recipe. Lanolin is perfect to heal up any cracks on the skin, especially on the lips. The recipe makes too much, so you better adjust the amount to your needs. I ended up with about 25-30 lipsticks of almost the same color. Are you ready to learn how to make lipstick from scratch? Before learning how to make lipstick from scratch, we need to know what kind of ingredients to use and why do we use them. This diy lipstick recipe uses the below ingredients. Castor oil moisturizes and gives a smooth and plump feeling to lips. I do not recommend substituting it with any other oil in this recipe. Lanolin is the best thing for cracked and chapped lips and skin. It provides a staying power to the lipstick and protects the lips from the cold, wind and any other external irritants. It is also waterproof. Lanolin is one of the essential ingredients in this lipstick. It is derived from the wool of the sheep and also called a wool wax. 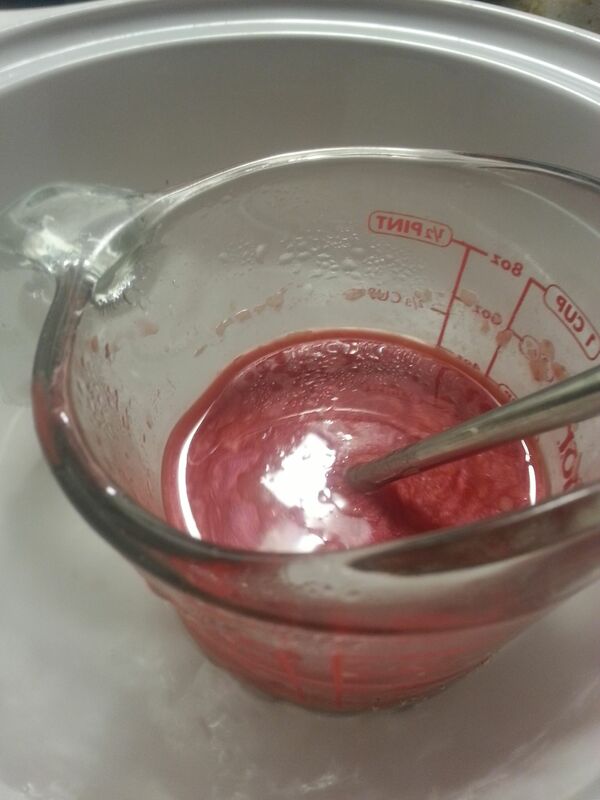 Use lanolin without any smell in this homemade lipstick recipe. Lansinoh Lanolin has no smell at all. Beeswax is the wax secreted by bees to make honeycombs. It is usually yellow, but can be white if filtered. Choose a white beeswax to avoid undesired color changes in your final product. Mixing yellow with red results in orange. Carnauba wax comes from the leaves of the Copernicia prunifera palm and also known palm wax or Brazil wax. Purified carnauba wax is considered food safe and non-toxic. I assume it is safe to use in a lipstick and I don’t know any other good substitutes. Vitamin E oil. Choose “alpha-tocopherol” as it is the most biologically active form of the vitamin E. Synthetic vitamin E is usually derived from petroleum products and it begins with “dl”, for example, “dl-alpha-tocopherol”. Do not use synthetic one. Mica is a naturally occurring mineral, which is usually composed of potassium, iron, aluminum, magnesium and water. I can’t say it is 100% safe simply because I don’t know. I need more in-depth research on this. For now, most sources claim it is very safe. I used Rose colored mica and White (not very shimmery) mica. Iron Oxide is basically a rust. Iron oxides are used as colorants in the cosmetic industry and considered safe when used externally. One low concern is that Iron Oxides are suspected nano-scale ingredients which can absorb into the skin. Do not sniff the Iron Oxide powder. I did not use it because I did not have it. D&C colors mean colors that can be used in Drug & Cosmetic industries. I did not use any in this lipstick recipe (but Mica). Grapefruit seed extract is used to preserve the product. I used a few drops of rosemary oil and I did not notice any spoilage of my homemade lipsticks which I use about a year long. Essential Oils for fragrance. I used Vanilla essential oil and Lavender essential oil. I also used a few drops of Rosemary oil & Tea Tree oil. Use natural essential oils, not synthetic ones. Adding a few drops of Cinnamon essential oil may help plump your lips. Some people may be sensitive to Cinnamon essential oil so use precautions. Stevia Extract for a sweet taste. Very optional. Stevia extract is a white powder and is a refined version of stevia leaves. This is not a natural product, but you need a tiny amount which will not make any changes to the consistency of our lipstick mixture. 0.08 oz Color (Iron oxide, Mica powder, and D&C color combination to get the desired shade). I used Rose red mica. Pulverize the colors and mixtures in a grinder or something alike to make sure they are very fine and powdery. I used very fine Mica, so I did not do this. 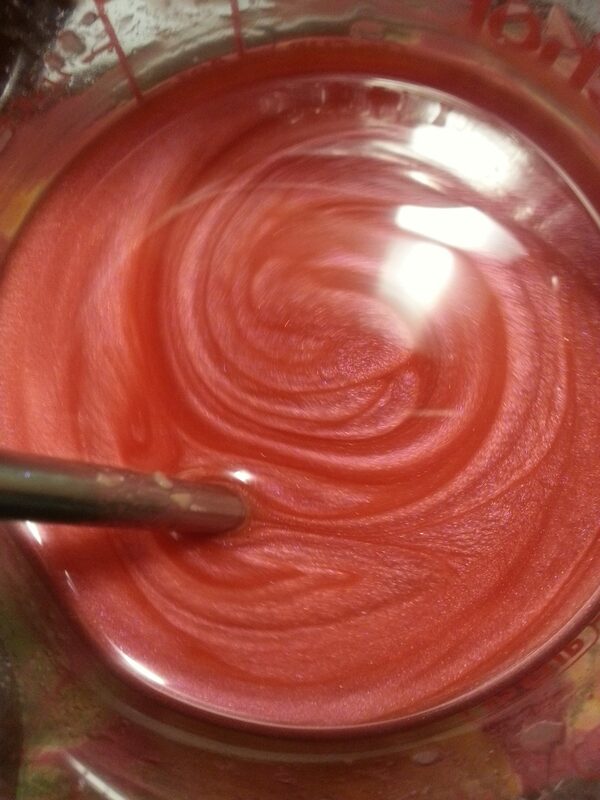 Mix castor oil, colors and pigments (I used Rose Mica and White Mica) in a double boiler or a pan. If using a pan heat the mixture over a very low heat. Stir well. Add beeswax pearls (or grated beeswax), carnauba wax, Stevia (optional) and Lanolin. Stir and heat until fully melted (or until it reaches170°F). Remove from heat. Stir. When the mixture is not very hot, add a few drops of Grapefruit seed extract and desired essential oils for scent. I used 3-4 drops of Rosemary essential oil, 8 drops of Vanilla essential oil, 10 drops of Lavender essential oil. Adding 1-2 drops of Cinnamon essential oil may help plump your lips. Some people may be sensitive to Cinnamon essential oil so use precautions. If you add the essential oils to a very hot mixture the oil scents fade away. 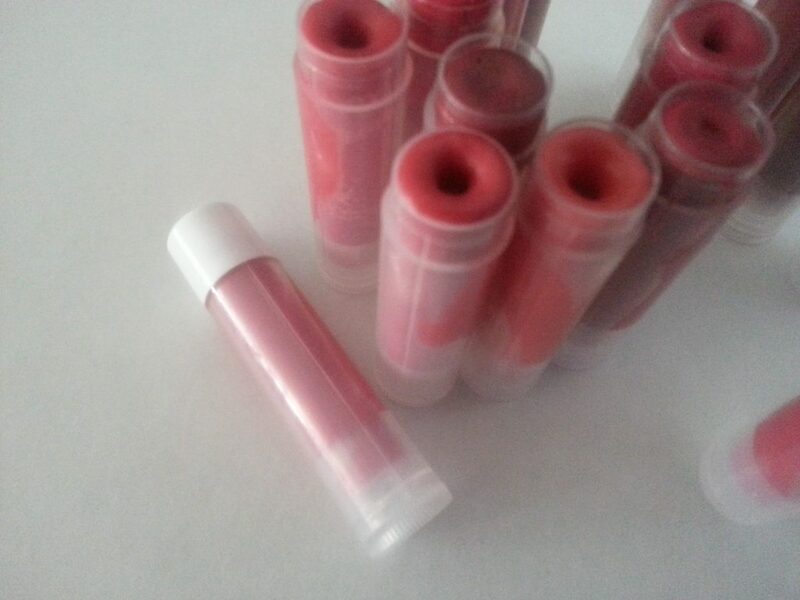 Fill empty lipstick or lip balm containers with the mixture. Let cool. Enjoy your DIY natural lipstick! If you want to learn how to make other beauty products, make sure to check the DIY Beauty Recipes section on my website! I hope this recipe give me the vibrant and bold colors I need. I need my lipstick to stand out in a crowd. Thank you will try. Hi, Voncile! The color dept depends on how much and what kind of pigment you use. Let me know how it turns out! Feruza. How would I narrow down this recipe for just five or six tubes at a time.